Great stuff. This was a big gap in troubleshooting slow M. At least I can see which queries are slow and get accurate times. Dax Stuido comes to the rescue again. Thanks for the post. Hi Chris, Thanks for this blog. It looks really promising. I followed your instructions and tried doing that with my report but I never got Event Subclass titled” 25-Execute SQL” in my results. I was only able to get Event Subclass “6-Commit” and “12-Batch”. Does it have something to do with authentication?. 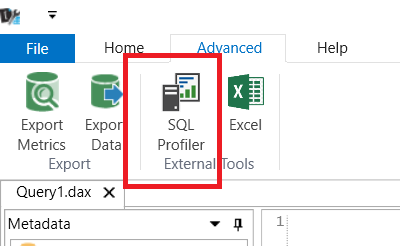 Can I change authentication in the SQL profiler? or DAX studio. Are you sure you included the Progress Report Begin/End events? Ran this successfully for a Power Pivot model we’re having refresh speed issues with. 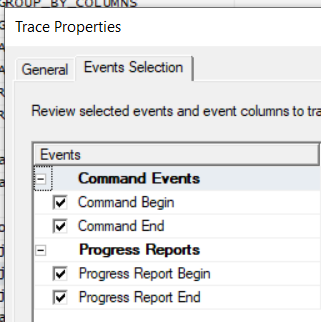 How do you export the trace results to Excel for further analysis? Seems like the only option is XML and a trace table on a SQL Server.